Home > News and Videos > News > 2017 Nissan GT-R: It’s back, baby. 2017 Nissan GT-R: It’s back, baby. Just when you thought the streets were getting peaceful, Nissan’s decided to bring back the ultimate road beast: the GT-R.
Yup, Godzilla has returned to terrorize highways, eat up race tracks, and disturb quiet neighbourhoods. We bet you won’t mind one bit, though. It was with much excitement that Nissan revealed the 2017 Nissan GT-R at this year’s New York International Auto Show. 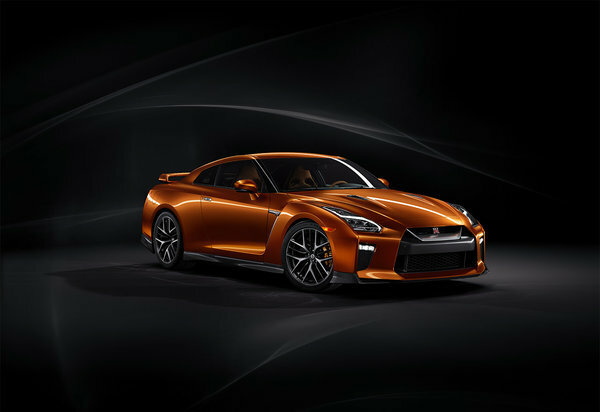 As Nissan’s playing card in the supercar segment, the GT-R is every bit a performance machine as it is a looker. It still carries a hand-built 3.8L V6 twin-turbocharged engine. And if you thought it was quick before, well Nissan engineers went and added 20 more ponies to the mix for a total of 565 horsepower and 476 lb-ft of torque. It just wouldn’t have the same earth-shattering effect if Godzilla didn’t roar, so Nissan also outfitted the 2017 GT-R with an all-new titanium exhaust along with Active Sound Enhancement. This means your GT-R will be heard long before it’s seen. A 6-speed dual-clutch transmission controls all that incredible power and sends it to all four wheels for ultimate grip and performance. Nissan engineers updated the transmission slightly so the 2017 GT-R now features smoother shifts, so it’s as much a cruiser as it is a weekend track warrior. Thanks to an updated suspensions and acoustic glass windshield the 2017 Nissan GT-R is as civilized as it is unruly. While some might see it as just a supercar for weekend adventures, it can actually be an everyday runabout and is even a viable road-trip car for long-distance hauls. You’ll find Nappa leather on the dash, and an all-new 8” infotainment screen (larger than last year’s). 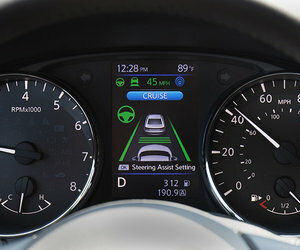 But what you’ll really want to take note of are the paddle shifters that have been moved to the steering wheel for easier manipulation while driving. 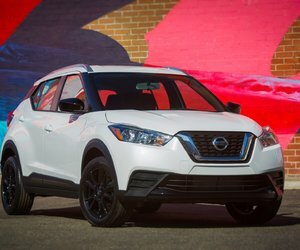 In terms of exterior looks and design, Nissan didn’t deviate a great deal from the previous generation; but as they say: If it ain’t broke, don’t fix it. Nissan kept the GT-R’s flanks strong and muscular, with aggressive lines and a large stance that takes up a fare amount of space on the road. Intimidating to say the least, the 2017 GT-R now sports Nissan’s family V-motion front grille, as well as a new lip spoiler and bumper, as well as wider side slits for greater airflow. There’s also an all-new colour: Blaze Metallix Orange. To find out more about the brand new 2017 Nissan GT-R, head down to your local Stadium Nissan dealer today to speak to one of our experts about everything this supercar has to offer, and more. Don’t forget to book a test drive, either.